In need of drywall repair? We know that the first thing you need is to contact a professional. Whether you need drywall water damage repair or drywall patchwork, AllPro Painters has you covered from start to finish. 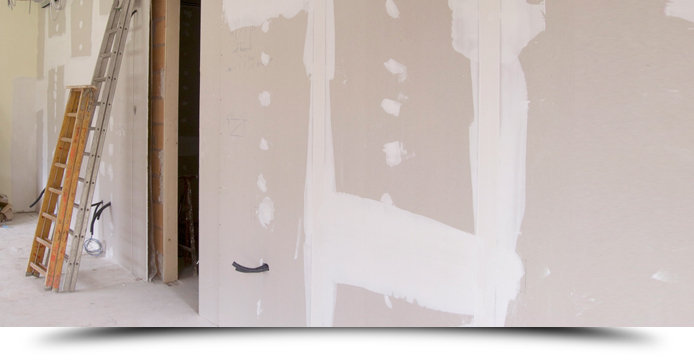 Drywalls are very potent components of our homes, since they separate the divisions of space that we use. However, they are also relatively fragile components as well, that are vulnerable to mild and sever damage. One of the most common types of drywall damage, is due to water activity. AllPro has also worked with many clients when remodeling. Pulling cables or wires through the ceiling and walls needs requires you to cut pieces of drywall away. We have repaired many of these jobs, with flawless finishes. Other drywall damage, often in the form of cracks or nails popping, is caused by movement in the framing to which the drywall is attached. Some damage is due to settling of a new home, or even the wood drying out and adjusting to the stress of the new structure. When patching, we make sure to cover the area with plastic, square up your holes then measure and cut a new piece of drywall to apply, screw, tape, mud, sand and texture.